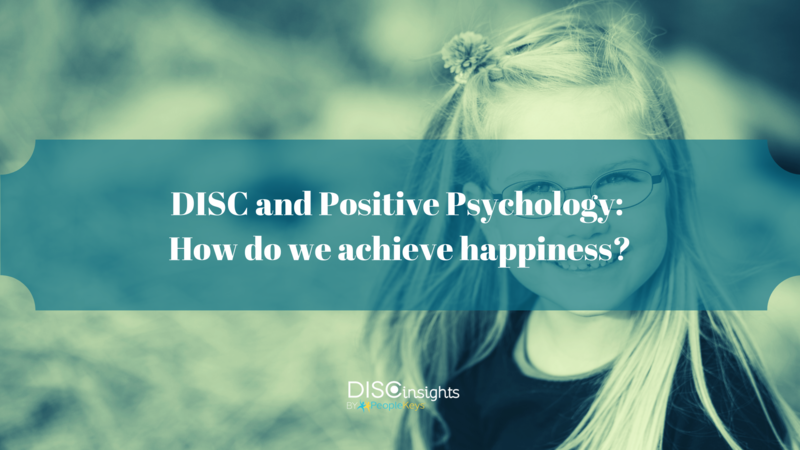 DISC and Positive Psychology- How do we achieve happiness? What exactly is “happiness?" It’s an amorphous concept that isn’t merely a biologically determined response to stimuli. It evades concrete description. Is happiness a trait? Is it a response to a series of events? Is happiness internally located, or do external factors decide whether or not a person is happy? Do we control our happiness, or do other people control our happiness? How exactly do we obtain this illusive happiness? Positive psychology is the “scientific study of the strengths that enable individuals and communities to thrive. The field is founded on the belief that people want to lead meaningful and fulfilling lives, to cultivate what is best within themselves, and to enhance their experiences of love, work, and play” (Seligman, 2008). 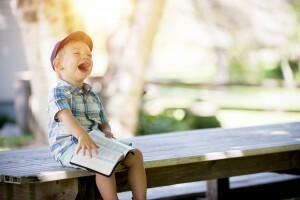 Essentially, Positive Psychology is the study of happiness. Positive psychologists, like Dr. Martin Seligman of UPenn, have spent years studying the factors that contribute to a person’s happiness. And, rather unsurprisingly, they have found that happiness isn’t something that is “achieved.” A person doesn’t just engage in a specific series of actions and then -- Boom! -- they have achieved happiness. They can check that box off of their to-do list and never revisit the issue again. Happiness isn’t a permanent state of being. Research on happiness in psychology is a relatively new phenomena. Previously, most psychological research was diagnostic in origin -- it sought to label a maladaptive response (a “mental illness”) and attempted to ameliorate this illness. The research attempted to determine the cause of the illness and to treat it, like a physician would a physical illness. Psychologists primarily spent their time studying people who were suffering, people who did not comprise the majority of the population but rather the minority. They didn’t study “healthy” and happy people, only those who suffered. But way back in 1928, Dr. William Marston, creator of DISC, was ahead of the curve. Marston’s research was intended to create labels for the emotions of what he called “normal” people. He wanted to study the majority of the population, psychologically, and to create a theory regarding their emotional landscapes. He wanted to determine what made them behave the way that they did and what types of things they would move toward or away from. Dr. Seligman’s research, like Marston’s, didn’t seek to diagnose problems but to explore what can improve the lives of people who do not suffer from mental illness. Seligman and his team identified three different types of fulfillment, or “three lives,” that people who are extremely happy have in common. “And I believe there are three different -- and I call them different because different interventions build them, it's possible to have one rather than the other -- three different happy lives. The first happy life is the pleasant life. This is a life in which you have as much positive emotion as you possibly can, and the skills to amplify it. The second is a life of engagement -- a life in your work, your parenting, your love, your leisure, time stops for you.That's what Aristotle was talking about. And third, the meaningful life. “ (Seligman Presentation, 2004). So how are the insights offered by Positive Psychology related to Marston’s DISC theory? Marston studied the emotions and personalities of “normal” people and determined what environments they thrive within. Creating a life in which you get to work and live in an environment that suites your strengths and preferences allows you to thrive. Dr. Marston’s Behavioral Analysis can be used to foster the type of happiness implicated by Dr.Seligman and other positive psychologists. An essential prerequisite to discovering and cultivating the type of engagement and meaning necessary to live a happy life is knowledge of one’s self. Understanding yourself, and having empathy and understanding of the people around you, are essential cornerstones of the type of introspection necessary for this level of fulfillment. Marston’s Behavioral Analysis and DISC Theory provides a framework for this level of insight. Seligman’s research indicated that although all of the people who fit in the category of “extremely happy” had different definitions for what brought them meaning and engagement in life, they did all share one common trait: they were all very social and had excellent interpersonal relationships. Behavioral Analysis and DISC has been used since the 1920’s to improve interpersonal relationships and communication and increase understanding of the self. When a person can foster a deep understanding of themselves, they can use this knowledge to discover what type of jobs, hobbies, and life work will give them a sense of engagement and meaning. Together with Positive Psychology, DISC can help to improve people’s lives and assist them in developing, cultivating, and enjoying the type of life that fosters that elusive sense of happiness.